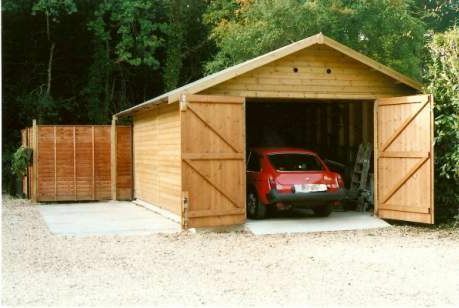 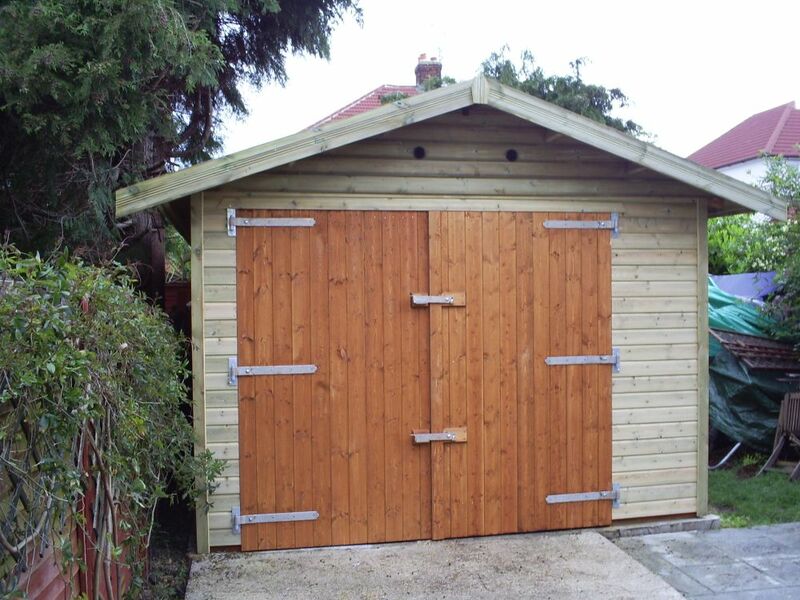 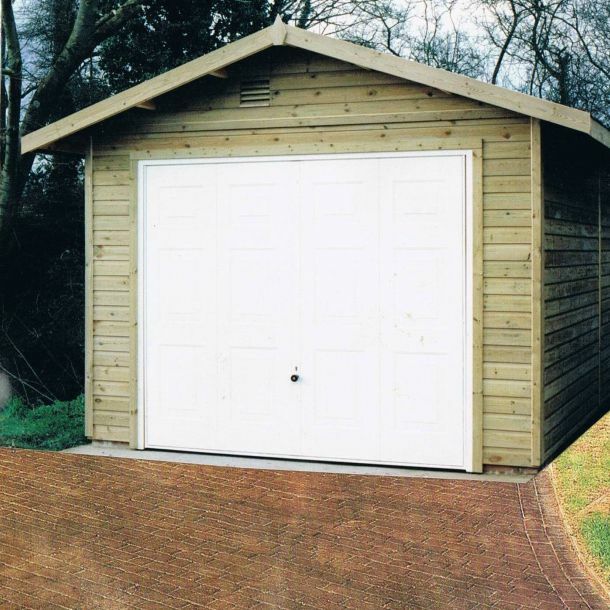 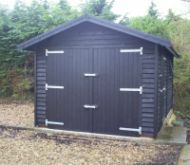 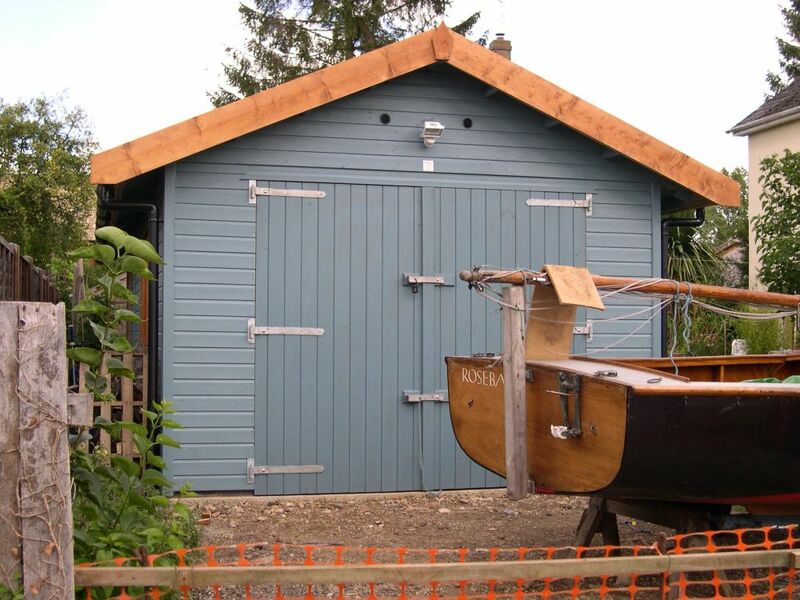 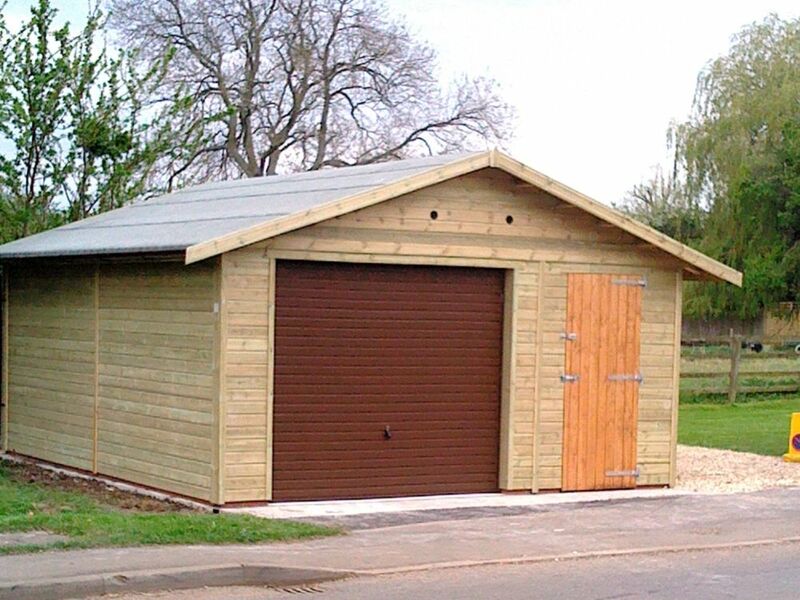 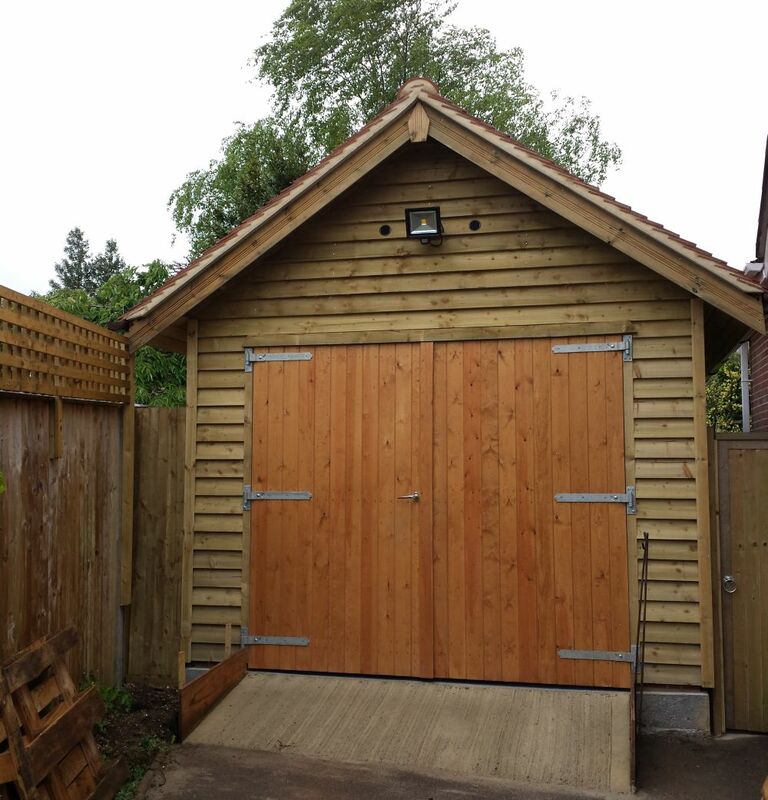 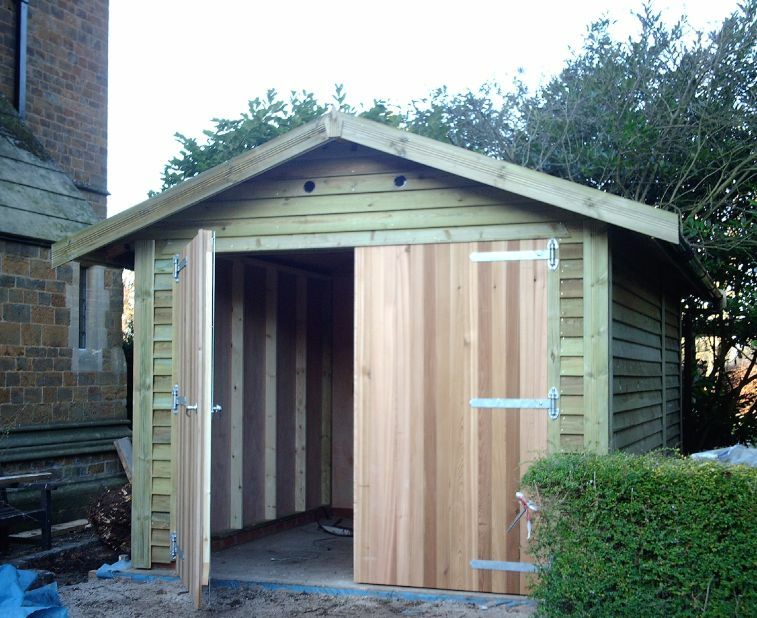 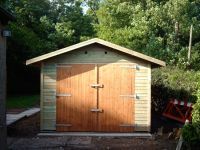 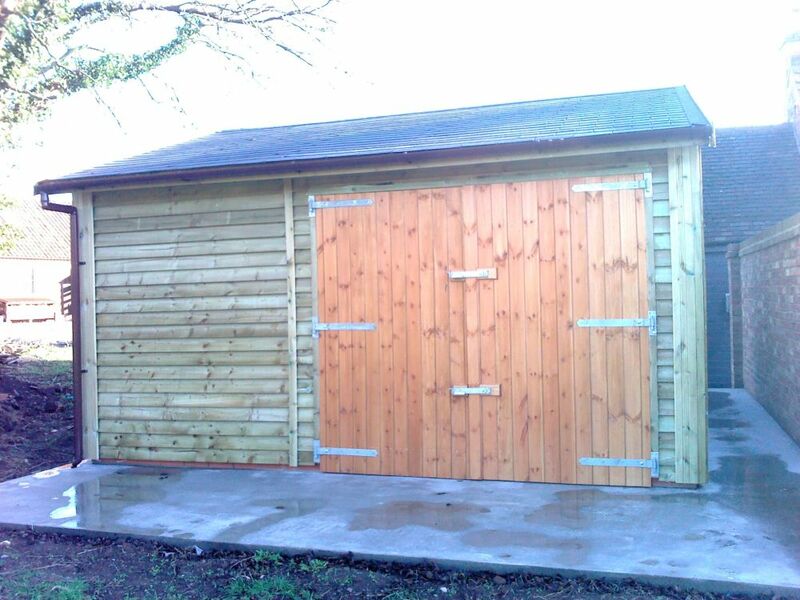 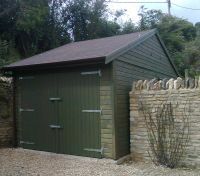 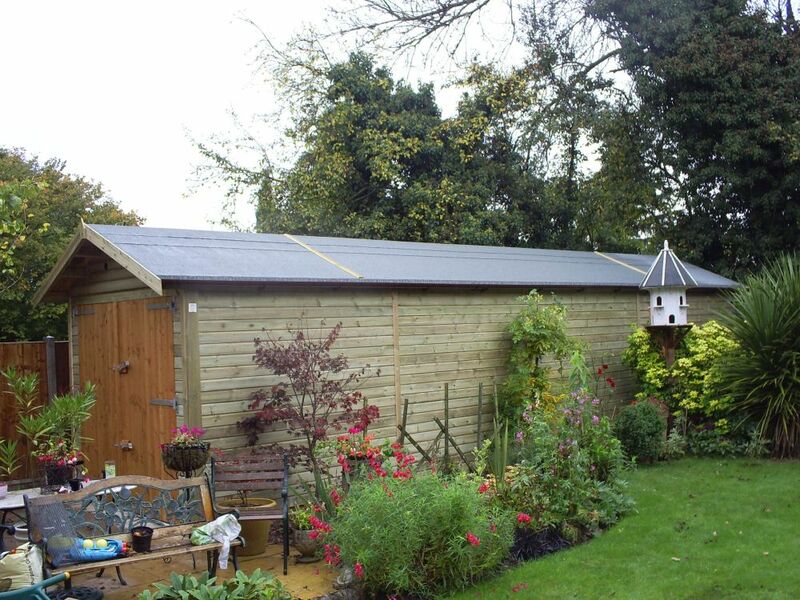 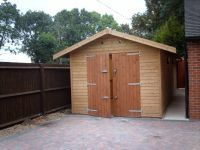 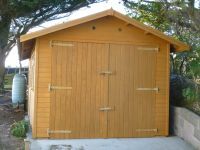 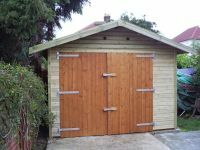 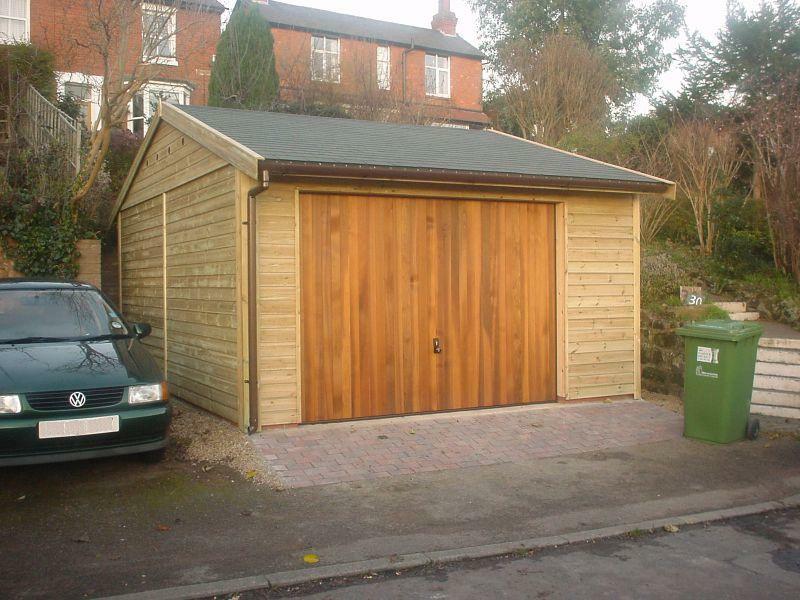 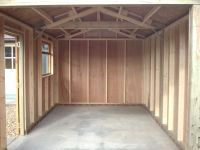 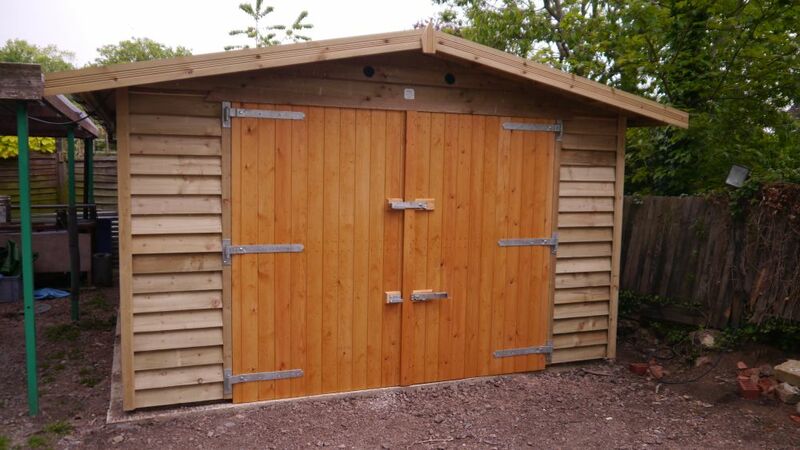 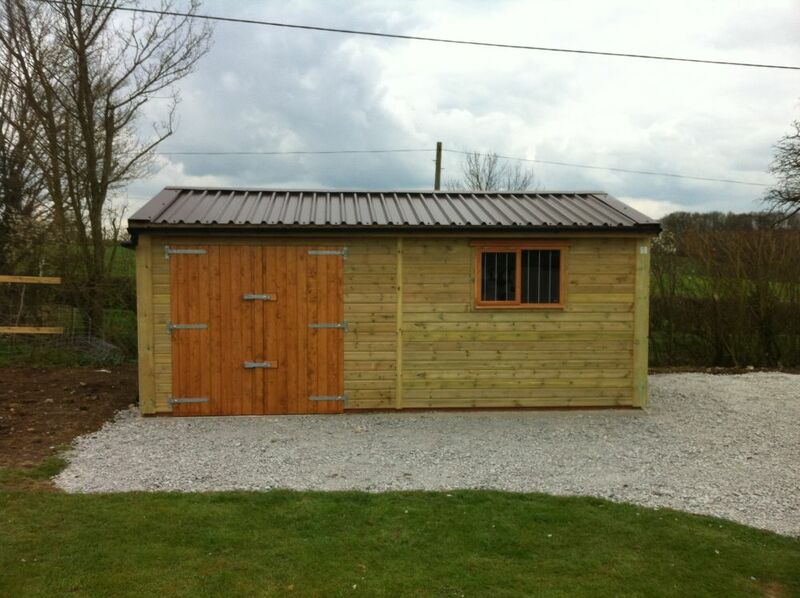 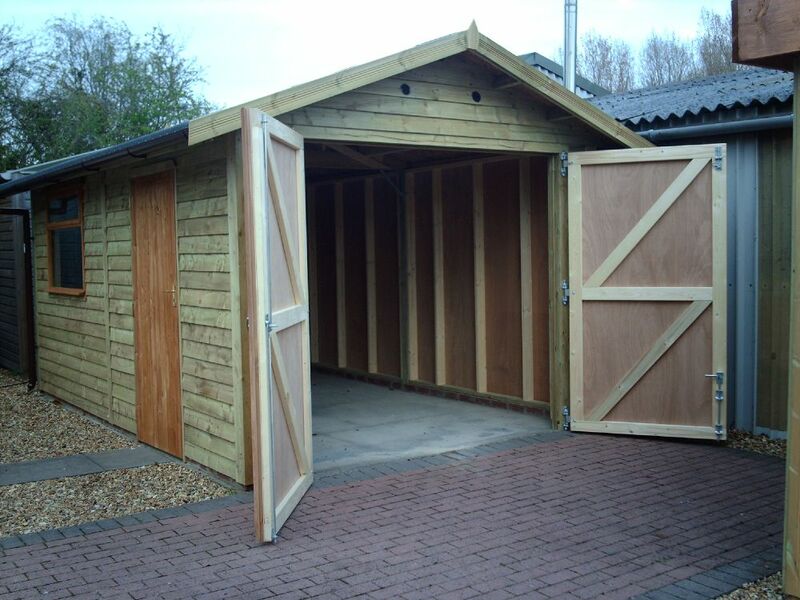 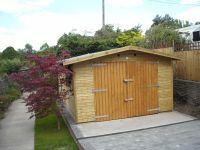 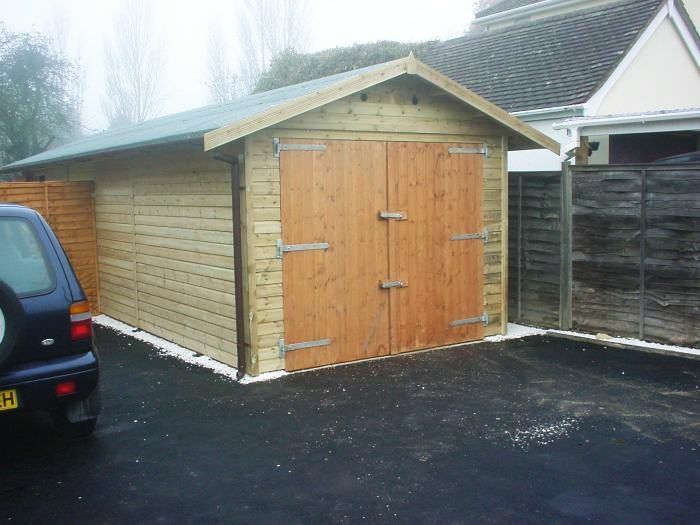 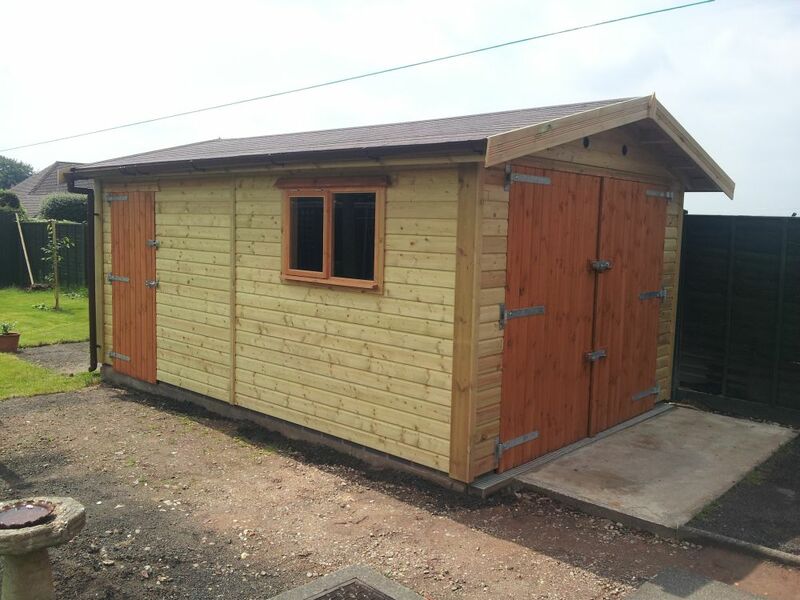 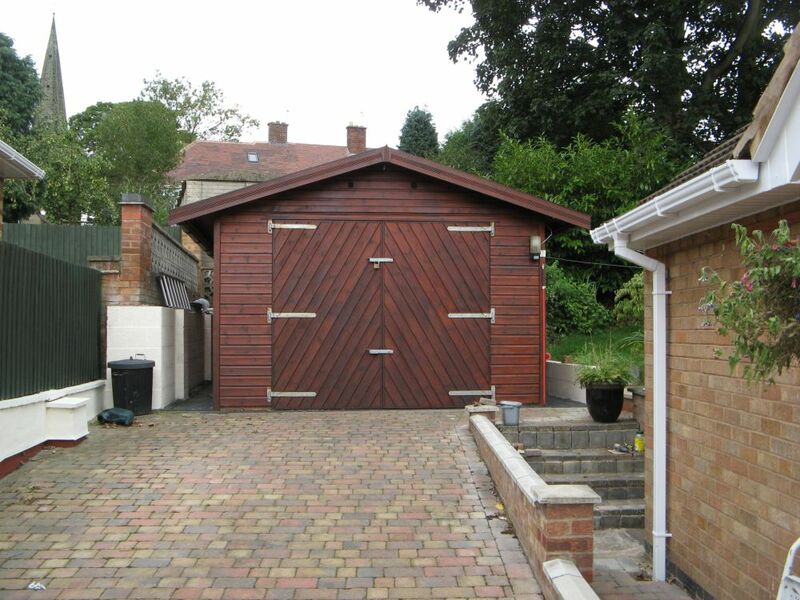 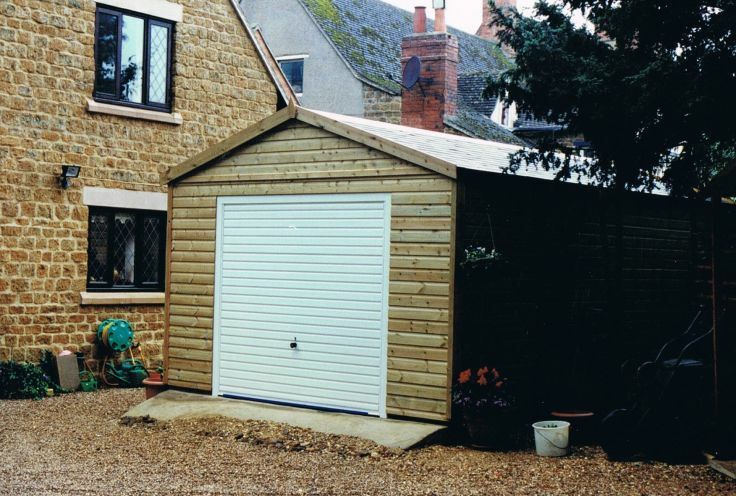 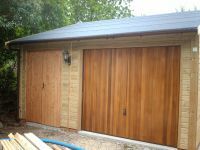 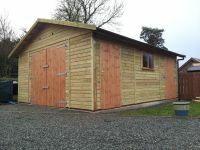 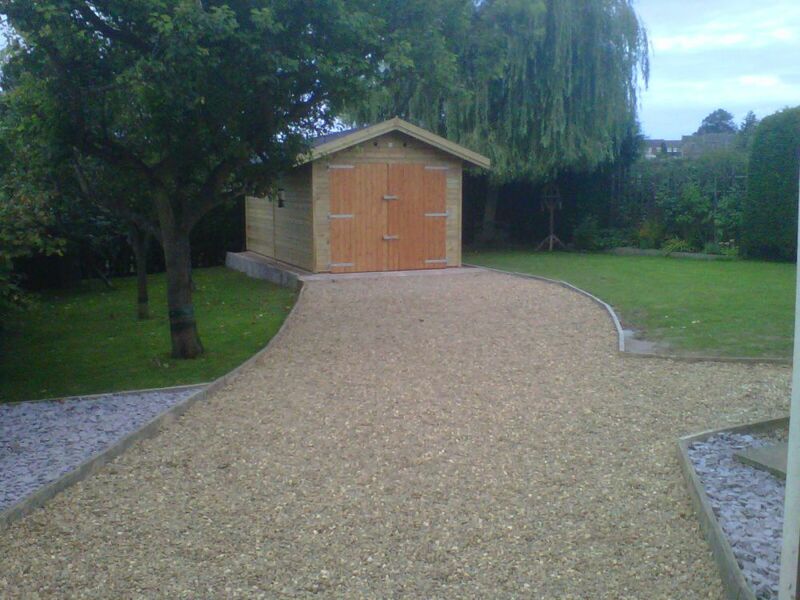 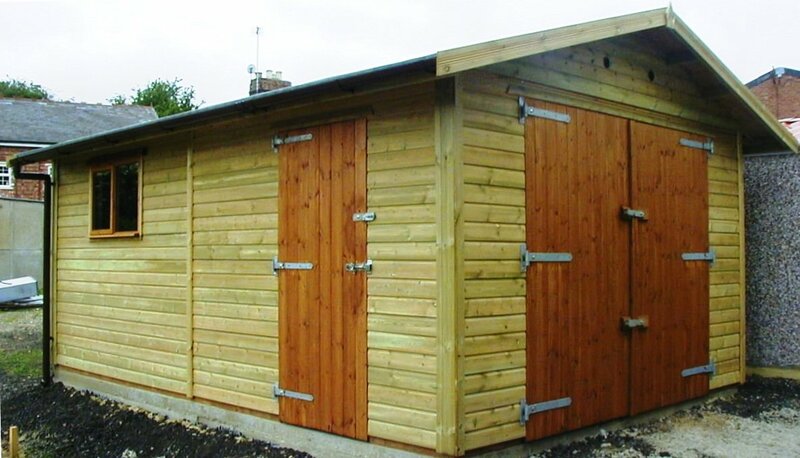 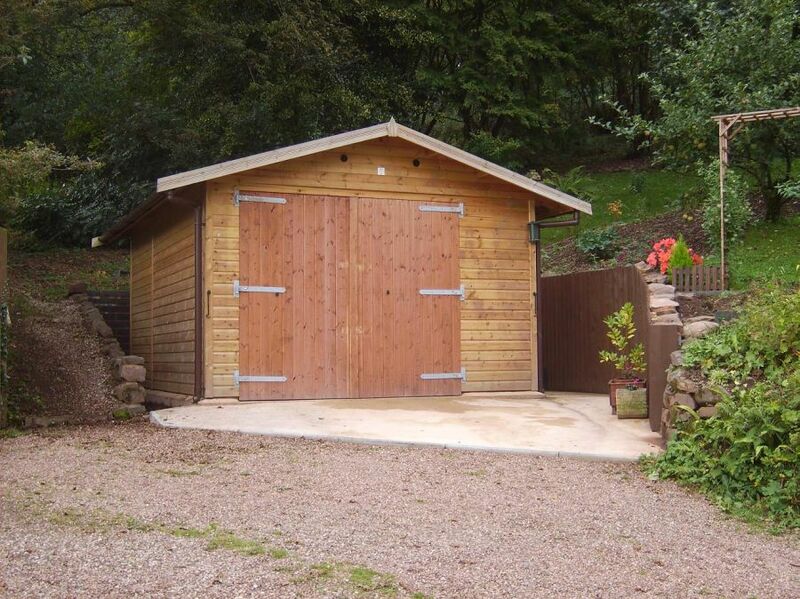 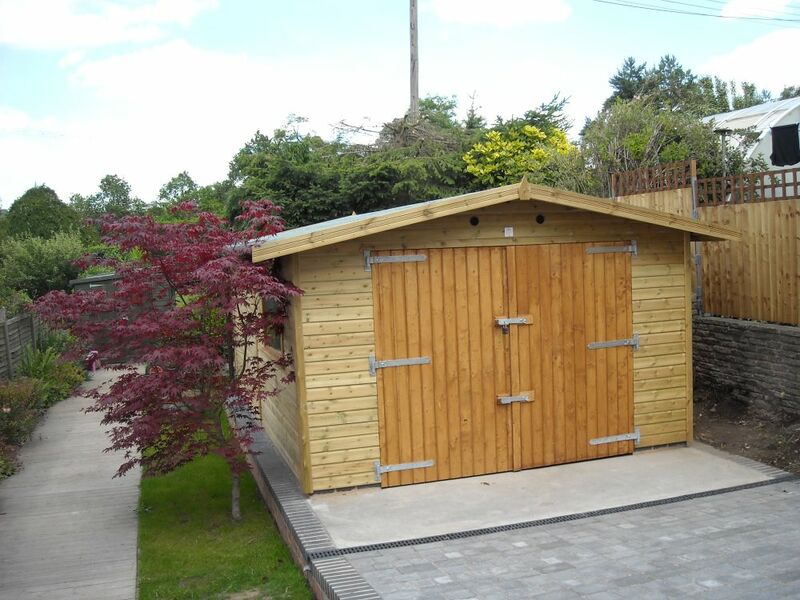 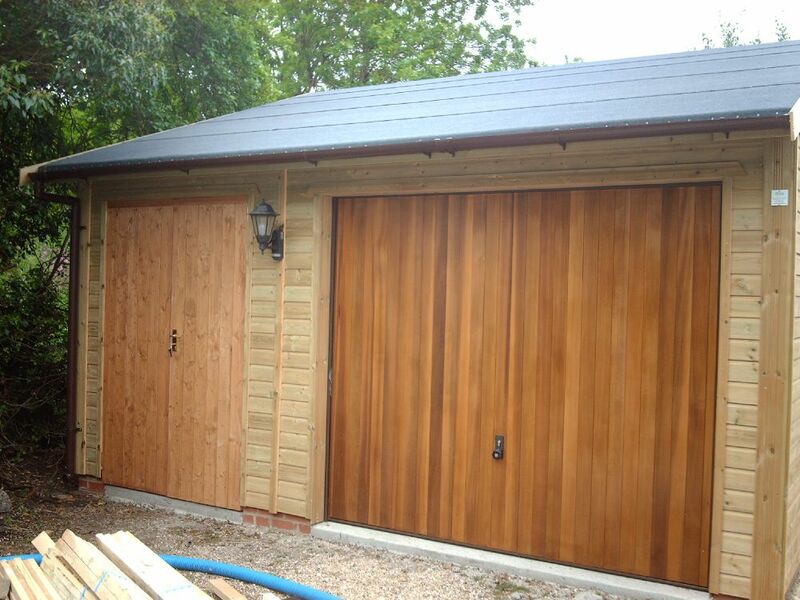 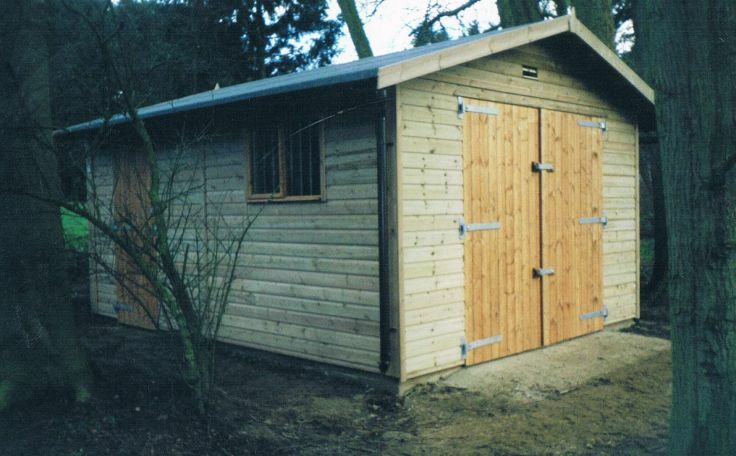 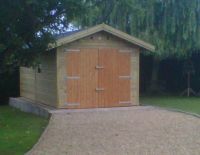 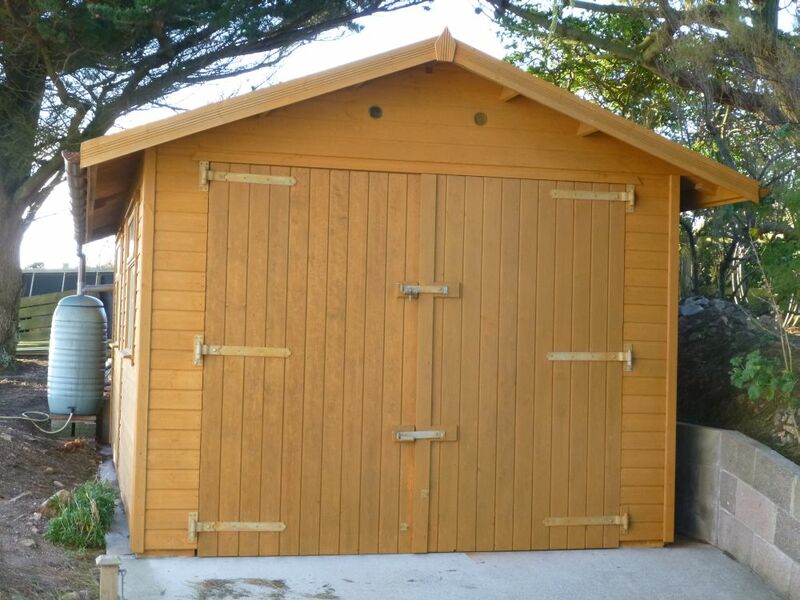 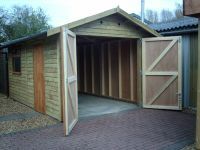 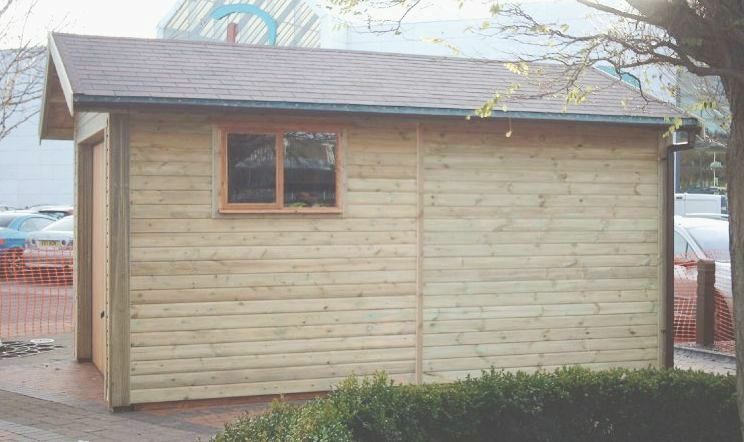 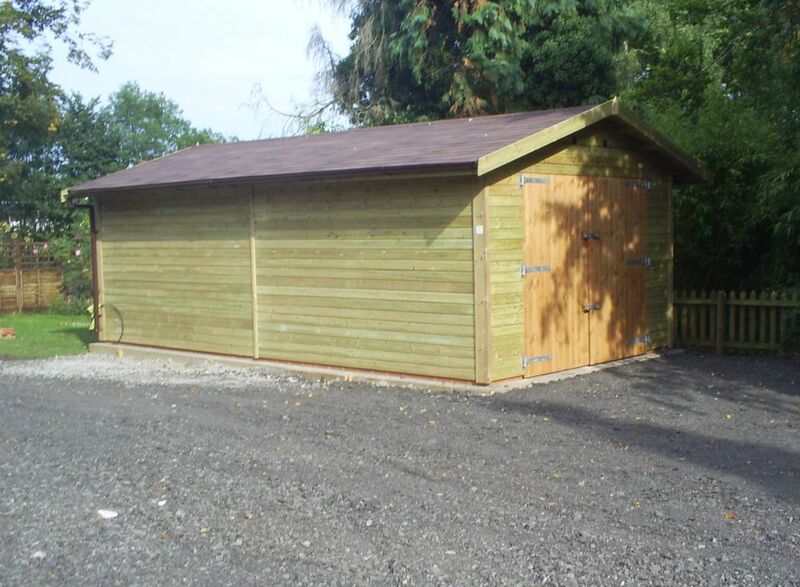 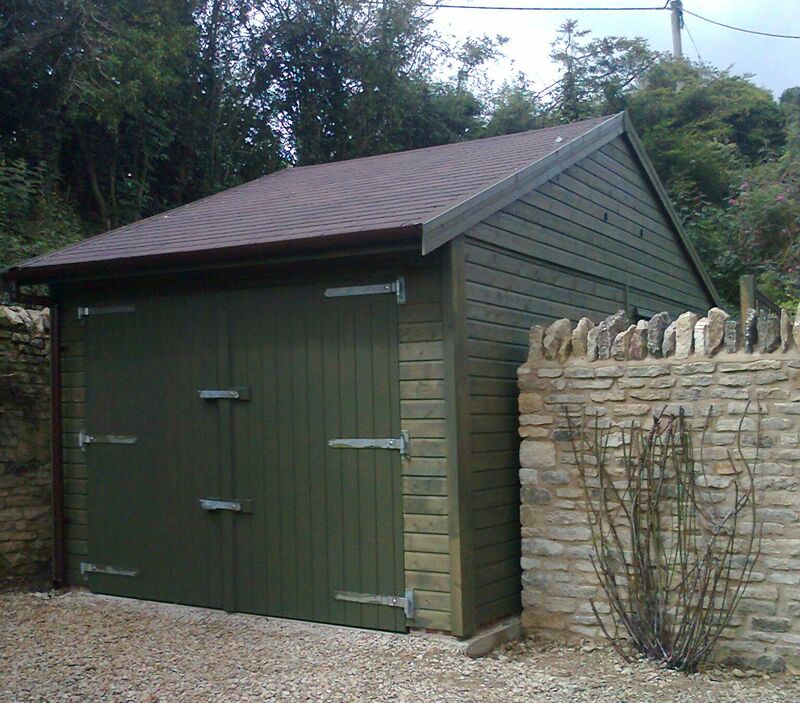 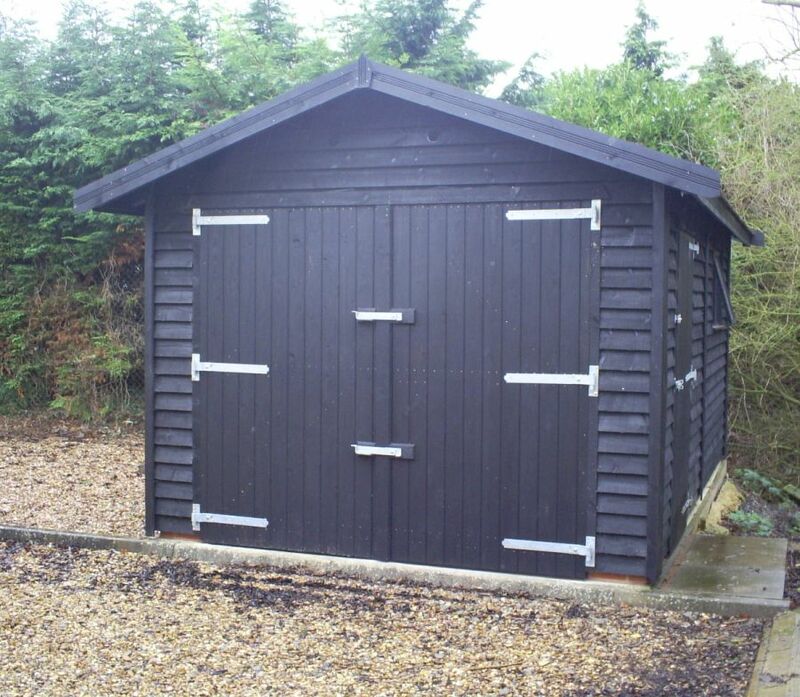 Single car garages start at 8'6" wide, and feature a set of double doors, green mineral felt roof and guttering. 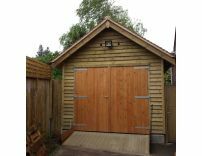 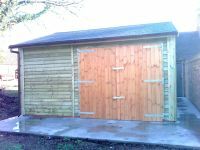 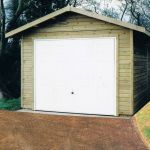 The 8'6" wide garage would have a set of 7'3" wide Double Doors, however garages 10' wide and over will accept an 8' wide pair of double doors. 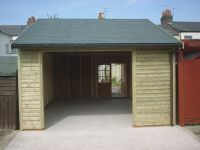 Personal doors and windows are available, along with different roof coverings. 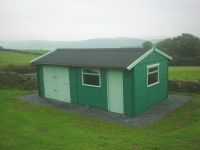 Please see prices on the left hand menu for more details.